The Chilean wine industry has a lot of positives going for it these days, even if most of us don't hear much about it. I've stated before that the people who market these wines - both in Chile and in America and other countries - need to do a better job letting consumers know what classy wines are emerging from the country's wine regions these days. Thankfully, the vintners are doing the necessary work, as they finding the best sites that are well suited to particular varieties. The days of Chile being most associated with $8-$10 Central Valley wines are long gone, as the producers have learned to realize the beauty of their climate when working with a variety of wine grapes. I think most of us are familiar with the gorgeous Cabernets - especially those from the Maipo Valley- that run anywhere from $18-$60 (or even slightly higher), but over the past decade, the country's wine industry has developed into a complex one, capable of producing beautifully crafted wines from Carmenere, Chardonnay, Pinot Noir and Sauvignon Blanc. These last two are of course, cool climate varieties and while Pinot Noir is still largely a work in progress throughout Chile, there have been dazzling bottlings of Sauvignon Blancs from cool zones such as Casablanca Valley, Leyda and San Antonio Valleys near the ocean as well as Limarí and a few select sites in Colchagua. A few of the finest bottlings from producers such as Casa Marin, Garces-Silva (Amayna), Maycas del Limarí, Matetic (EQ) and Leyda Vineyards have made Chile into one of the world's finest Sauvignon Blanc territories. Now Syrah is starting to become an important variety in Chile as well. I recently tasted two bottlings that are proof that this country can do more than produce ripe, forward reds; these wines also display excellent complexity as well as beautiful structure. 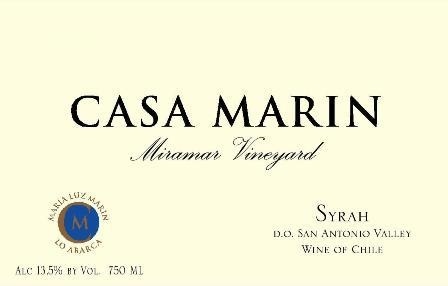 I am referring to the 2008 Maycas del Limarí and the 2008 Casa Marin "Miramar Vineyard." The Maycas wines are a relatively new project from Concha y Toro, Chile's largest winery. They have committed to the Limarí valley, located very close to the Pacific Ocean, quite a ways north of Santiago. The winery is working with Sauvignon Blanc, Chardonnay, Cabernet Sauvignon and Syrah and each variety is displaying the acidity you would expect in a cool climate. This acidity is the focal point for me, as it not only cleanses the palate (especially beneficial with the tannins of Cabernet Sauvignon), it also preserves the freshness and brightness of the fruit and helps achieve an overall harmony. To date, the Sauvignon Blanc from Maycas has been my favorite; this wine in the two vintages I have tasted to date (2007 and 2008) has the vibrancy and concentration of the best examples of Sauvignon Blanc; I would rate this as one of the three or four best examples of this variety in all of Chile. I am also quite pleased with the Maycas Cabernet Sauvignon, which comes off quite a bit different than the wonderful bottlings from the Maipo Valley. 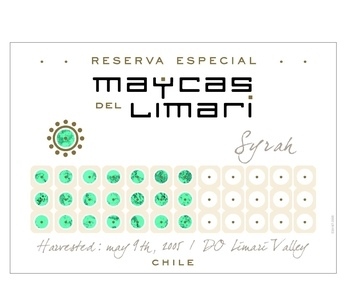 The Maycas cool climate Cab has lively acidity and bright fruit and while not as soft and as approachable as its Maipo counterparts, it has impeccable balance. At Casa Marin, Maria Luz Marin was one of the first producers to work with grapes from the tiny sub-zone of the San Antonio Valley, part of the Leyda Valley appellation. Marin's estate is very close to the Pacific Ocean, with the vineyards located anywhere from two to four miles from the coast, meaning very cool temperatures, which in turn, provide proper acidity and structure to the wines. 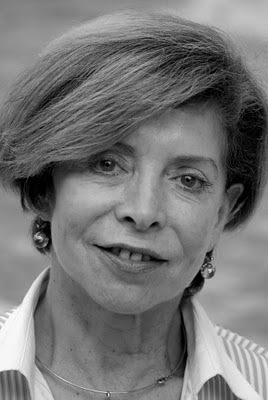 To date, Marin has earned much of her acclaim for her two briiliant single vineyard releases of Sauvignon Blanc: Cipresses and Laurel (I recently tasted the newly released 2009 Laurel, which is a rich and as complex as any bottling she has made to date). Now her Syrah from the Miramar Vineyard has reached new heights as well, not only for her but for the Chilean wine industry. I love Champagne, so when the opportunity to taste four or more cuvées from one producers comes up, I jump at the chance. Last week, at the Domaine Select Portfolio tasting in New York City, I was able to taste through much of the lineup of Alfred Gratien. Founded in 1864, the firm of Alfred Gratien is located in Epernay, one of the most famous of all Champagne towns. They produce wines from vineyards in the finest districts, such as the Côte des Blancs, Montagne de Reims and Vallée de la Marne. Production is limited and fermentation takes place in wooden casks, assuring greater complexity and giving the wines a nice edge. 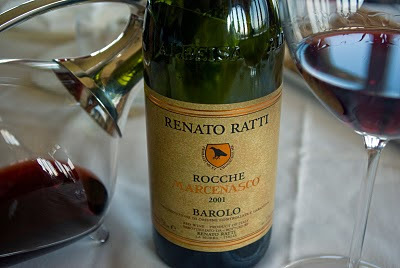 The overall style to me is one of elegance over power, though these wines are quite rich in their own right. Freshness is another factor in their wines, especially with the bottings of rosé. Overall, the quality of Alfred Gratien Champagnes is very high; each cuvée has beautiful complexity, notable concentration and impressive length and structure. Given the flavor profiles of most Cabernet Sauvignons from California, it's easy to see their appeal. Imbued with ripe black currant, cassis and plum aromas along with flavors of mocha and clove and offering lush fruit, the wines have been the state's finest vinous ambassadors for some time now. However, sometimes good things go too far. The beautiful California sunshine makes it easy to ripen these grapes and as a result, too many bottlings, at least for me, have become overripe fruit bombs that are more about showing off power and intensity than honest varietal character or elegance. Wine for me, whether it's California Cabernet Sauvignon or a Brunello di Montalcino from Italy has never been a case of "bigger is better." So how nice to taste a balanced, elegantly styled California Cabernet Sauvignon again! The wine in question here is the newly released 2007 Hanna Cabernet Sauvignon from their Red Ranch vineyard in Alexander Valley. What I love about this wine is the beautiful varietal character - pure black currant fruit - along with pleasing notes of mint in the aroma; this is a rich, supple wine that is beautifully balanced. Apparently winemaker Jeff Hinchliffe got the memo about keeping oak in the background, as the wood notes here are quite subdued. The wine also displays very good acidity, a trait not seen often enough in California Cabernet Sauvignons these days. This acidity not only holds the tannins in check, it also gives the wine a nice freshness and keeps everything in harmony. The price for all this is a very fair $30 a bottle, which I'm happy to note; you don't have to spend $50 or more for a top-flight wine from California. This is a wine not meant for tasting (though it's fine in that purpose), but rather for pairing at the dinner table with a variety of entrées from New York Strip Steak to duck breast with currants. You might also try two of Christine Hanna's recommendations: Pan-Seared Hangar Steak with Porcini-Merlot Reduction or a Rosemary-Crusted Standing Rib Roast with Bordeaux Gravy. The recipes for both of these dishes can be found in Christine's book, The Winemaker Cooks, which can be ordered via the winery's website (link). Interesting article in the New York Times on Wednesday about restaurants now offering to their customers iPads that contain the wine list; there is now an app that can list a particular restaurant's wine offerings along with ratings. The idea here, as best as I can tell, is that a customer will have another option when he or she selects a wine off the list. I for one think this is technology gone wild. Do customers at a restaurant really need this information? Isn't that what a sommelier is for? One woman in the article is quoted as saying that clients "like to make their own decisions." How's that? How is reading a collection of ratings for a group of wines making your own decision? The article mentions that one customer chose a wine as it had received a high score from Robert Parker. There is no mention in the article if other ratings are listed for the wines. I certainly hope so; the last thing wine lovers need is more slant toward the international, super ripe wines favored by Mr. Parker. It's the bigger is better philosophy, which unfortunately is probably what prevails at a business wine dinner. Don't order a wine if it works with the food, buy it because it's a powerhouse. If you're happy with that, then I guess you deserve this new play toy. But the crux of the problem, it seems to me, is technology being used as a crutch. Don't know what restaurant to go to? Don't know what wine to select? No problem, just take out your iPhone or iPad (or other similar devices) and check out that app. Is this what technology has done to us? What happened to our sense of adventure? Isn't life more than a set of numbers and statistics, especially when we're dealing with a sensory experience as tasting wine? Wine at its best reflects a sense of place; a wine made from Pinot Noir in the Santa Rita Hills in California has a particular flavor profile, one that is markedly different from a Burgundy from Nuits-Saint-Georges. Does this iPad app with its numerical ratings cover that? When it does, I'll be all for it, but for now, this is another argument against rating wines with points. A friend of mine tells me often that "the internet is the worst invention in history." I don't exactly share his sentiments, but I understand his thoughts, as he thinks a lot of people have lost their jobs because of it. If I were a sommelier at a restaurant that offered an iPad to help customers choose wine, I wouldn't be worried just yet, but I'd have to think that my services weren't as necessary as they were before this tool. And let's face it, technology is only going to get bigger and more out of control. I spent Tuesday in New York City, attending the annual Portfolio tasting of Domaine Select Wine Estates, one of the country's finest wine importers. My main interest is with the Italian estates they represent, which includes names such as J. Hofstatter; Massolino; Fontanafredda; Gravner; Vodopivec; Corte Sant'Alda and Il Palazzone, to name only a few. Given this stellar lineup, I try and make sure my calendar is clear each year so I can attend this tasting. But as they also represent some great small estates in France, Spain, Chile and Germany (as well as a few other countries), the Domaine Select tasting becomes for me almost an embarrassment of riches. Here was my opportunity to taste some artisan wines from around the world, so I did my best to sample as many products as I could. I'll write about a few of these producers in upcoming posts; today, I am sharing my thoughts on Zarate, an amazing producer of Albariño. Bodegas Zarate, is among the oldest of family growers of Albariño grapes in Galicia in the Rías Baixas district in far northwestern region of Galicia in Spain. The examples of Albariño from this district, along with some excellent examples from Portugal (where the grape is known as Alvarinho) have elevated this variety into one of the finest in the world, capable of producing a wine that can be anything from a delightful aromatic white, ideal for early consumption to that of a mouth-filling white wine that is capable of improving with 5-7 years of age. The wines from Zarate are, as a group, not only the finest collection of Albariños I have tasted, but one of the most impressive groupings of white wine I've found from anywhere. These are white wines that have brilliant varietal purity, but even more importantly, possess a certain personality that I'd have to best describe as "soul". These wines are the result of meticulously farmed hillside vineyards along with exceptional work in the cellar from a team led by winemaker Eulogio Pomares. 2007 Albariño "Tras de Viña"
This wine is quite unique for several reasons. First, the vineyard used to source the grapes for this wine is 120 years old, which makes it the oldest vineyard in Rías Baixas. Secondly, the wine is barrel fermented, an unusual practice for Albariño. I've been pleased with the reception to my recent post about Values from Piemonte. I'll have more to say about that in an upcoming post, but for now, notes on another fine value from this region. This concerns a lovely sparkling wine called Rosa Regale produced by Banfi. 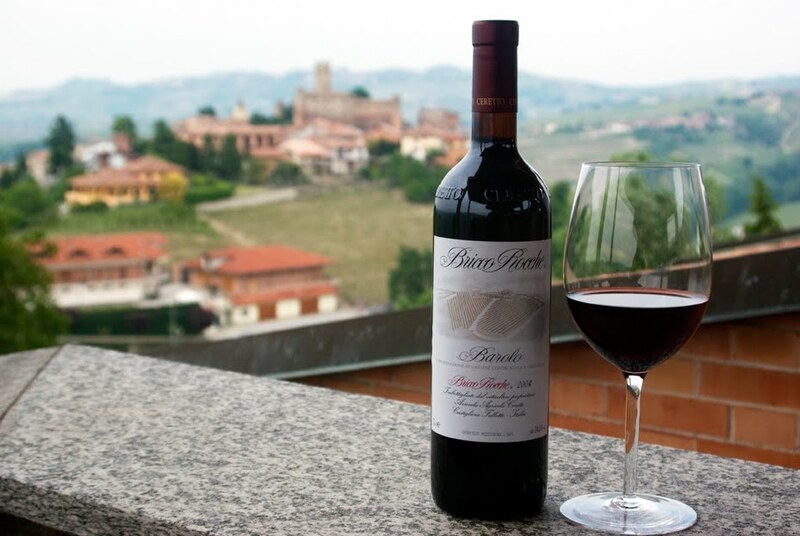 Most consumers know Banfi for their wines from their gorgous estate in Montalcino in Tuscany, but they also produce wines from Piemonte, including Dolcetto and Gavi. The Rosa Regale is my favorite of their Piemontese wines and it's a bottling I look forward to trying each year. This is a Brachetto d'Acqui, meaning it's made from the Brachetto grape, a specialty of the Acqui area near the town of Acqui Terme in the province of Asti. The Brachetto grape is all about fresh raspberries as well as strawberries and cranberries. The Rosa Regale from Banfi is made in a lightly sweet sparkling style, as is typical for this wine and it's delicious. I've loved every vintage of this wine I've tried for more than a decade now and the current 2009 is as flavorful and delicious as I've tasted. The $20 retail price is more than fair. This is a wine that you don't need to take too seriously. It's a fun celebration wine and it's quite tasty - it's a real crowd pleaser. You don't age this wine - instead, drink it tonight or over the next 12 months by itself or with a simple pound cake or with fresh strawberries, as the locals do. This is also one of the few wines that is ideal with chocolate. If you've never tried this wine, don't wait - you can thank me later!